The Trinidad and Tobago National Senior Team players must feel sick at the sight of United States teenager Christian Pulisic. 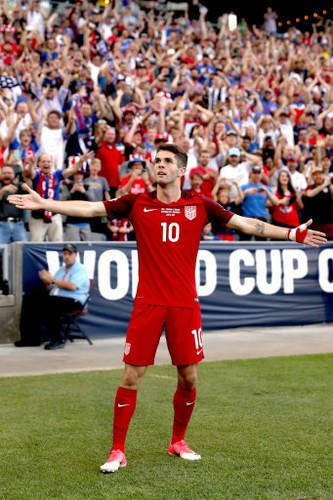 On their last visit to USA on 6 September 2016, Pulisic made his first competitive start for the “Stars and Stripes” and tormented the Soca Warriors backline in a 4-0 romp at Jacksonville, Florida. The hosts were not as emphatic tonight—but Pulisic was, as his two second half goals secured three points for USA in an entertaining Russia 2018 World Cup qualifier. More to the point, Trinidad and Tobago remain bottom of the CONCACAF Hex and are in danger of dropping five points behind the fourth placed FIFA Play Off spot; if, as expected, Panama defeat Honduras in Panama City next Tuesday. The Warriors have three points from five matches so far and must get to 13 points for a FIFA Play Off showdown with the fifth placed nation in Asia, which is likely to be Australia on current form. It is a point more than they would have hoped to be aiming for, as Panama pulled off an unprecedented draw away to a 10-man Costa Rica team tonight. There are two home games against United States and Honduras to come as well as trips to Costa Rica, Panama and Mexico. 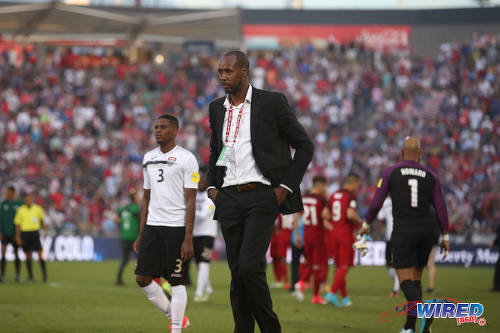 Next Tuesday, Trinidad an Tobago coach Dennis Lawrence takes his troops to Costa Rica for what has traditionally been an even tricker away assignment than the one they faced tonight. A point would do. But another loss, which would be the third straight qualifying defeat under his watch, would leave Trinidad and Tobago needing a point in Mexico City to have a decent shot at the Russia World Cup—once the Warriors win their remaining home games and, crucially, defeat Panama in Panama City. 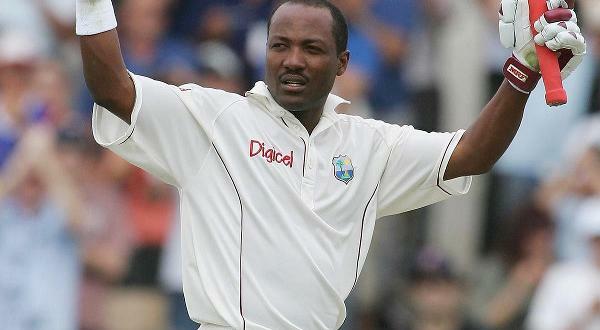 Can Trinidad and Tobago turn those games in hand into points? In Commerce City tonight, roughly 5,233 feet above sea level, the Warriors were ultimately outclassed but there were encouraging signs too. 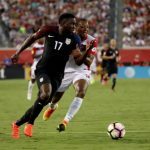 Photo: Trinidad and Tobago midfielder midfielder Kevan George (left) fouls United States midfielder Fabian Johnson (centre) during Russia 2018 World Cup qualifying action at Commerce City on 8 June 2017. Captain Kenwyne Jones could have put the two island republic ahead with an imperious leap in the first half, only to head his effort against the bar off a Khaleem Hyland cross. And Nathan Lewis, on his World Cup qualifying debut, was harshly adjudged offside when he converted within seconds of Pulisic’s first item. Hyland worried opposing goalkeeper Tim Howard on a few occasions while, for the first hour at least, Kevin Molino was the most involved of the attacking players on the field for either team. 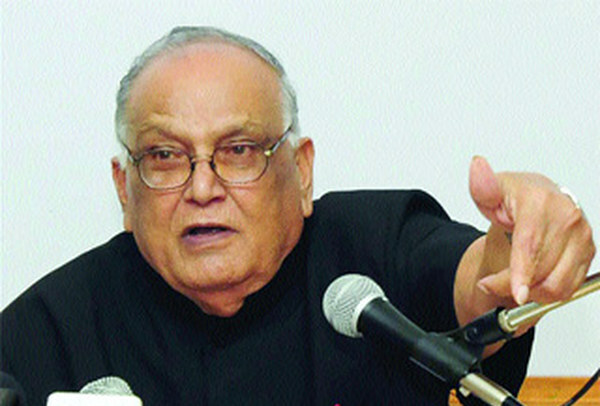 Lawrence vowed to go toe to toe with USA and it was no vain threat. Almost inevitably, it did not work. But then nothing has worked since coach Everald Gally Cummings and the Strike Squad got a draw in Torance, California, some 27 years ago. And the rookie coach, a former World Cup 2006 hero, can reasonably suggest that his boys were not disgraced either. It was all pretty exciting in the first half actually, although it would be a stretch to say Trinidad and Tobago were ever really in control. 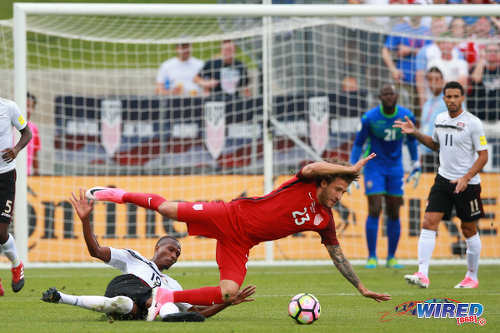 Fabian Johnson, a versatile Germany-based midfielder, miskicked from eight yards out in the 10th minute while veteran attacker Clint Dempsey shot over from the edge of the area, four minutes later, and defender John Brooks and forward Jozy Altidore both stung the palms of Trinidad and Tobago goalkeeper Jan-Michael Williams. 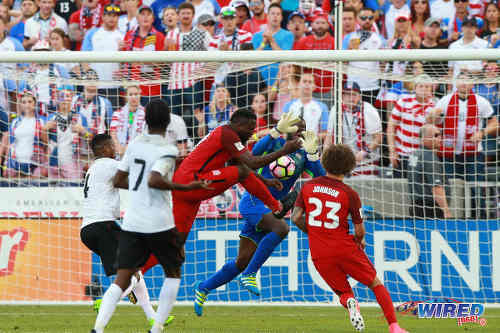 Photo: Trinidad and Tobago goalkeeper Jan-Michael Williams (centre) fends away a shot from United States forward Jozy Altidore during Russia 2018 World Cup qualifying action at Commerce City on 8 June 2017. Looking on (from right to left) are Sheldon Bateau, Daneil Cyrus and Christian Pulisic. Yet Hyland twice had Howard scampering with efforts from outside the penalty area—as the ball zipped through the thin air—while Kenwyne and Molino threatened with headers. Lawrence, who surprised observers with a 3-4-2-1 line-up that saw Joevin Jones and Carlos Edwards at wing back, would have been the happier coach at that stage. Molino gave the hosts a scare in the 50th minute as he stripped Johnson and delivered an incisive cross that Lewis could not get on the end off at the far post. But, despite a sterling performance from Jan-Michael, it was little surprise that it was USA who struck first. Hyland conceded possession in his own half and then failed to stop tricky attacking midfielder Darlington Nagbe. Nagbe found right back DeAndre Yedlin whose low cross was turned in by Pulisic for the opener. Photo: United States attacker Christian Pulisic (right) celebrates after his opening goal against Trinidad and Tobago during Russia 2018 World Cup qualifying action at Commerce City on 8 June 2017. 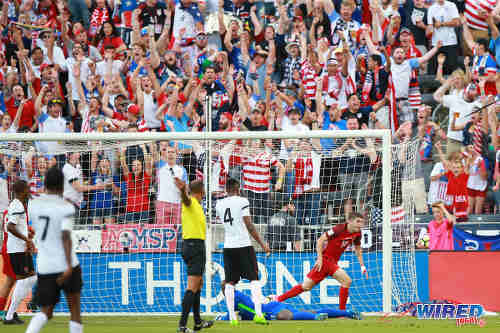 Pulisic scored twice as USA won 2-0. Lewis, who generally struggled in his biggest challenge as a professional so far—and he owed his opportunity to the wayward Cordell Cato, who was axed for indiscipline—momentarily silenced the crowd as he produced a neat finish off a fine Molino cross. However, the flag of the referee’s assistant was up and the effort did not stand. Lewis appeared to be in line with his marker at the time the ball was delivered and attackers really should get the benefit of the doubt there. Pulisic was quickly back in the hunt as he struck the outside of the upright in the 56th minute while Jan-Michael produced a brilliant double save from Jozy Altidore and Pulisic in the 57th minute. On the hour mark, Arena made the first change of the night as he replaced Dempsey—who is one goal away from becoming the USA’s all-time record international scorer—with Kellyn Acosta. Dempsey’s scowling response, capped off with some terse words aimed at his coach, suggested that it was not a pre-arranged change and certainly not a welcomed one by the attacker. Arena, it appeared, was already thinking about their clash with Mexico at the dreaded Azteca Stadium on Sunday. 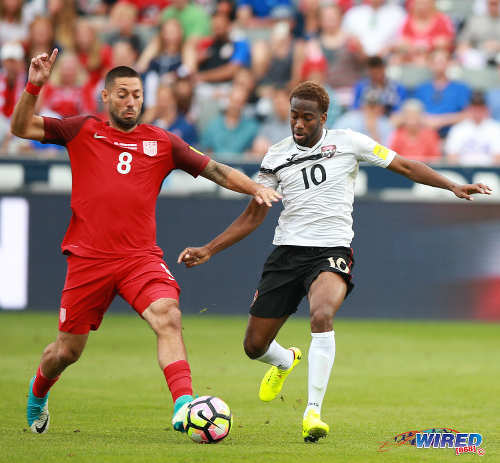 Photo: Trinidad and Tobago playmaker Kevin Molino (right) makes a pass under pressure from United States attacker Clint Dempsey during Russia 2018 World Cup qualifying action at Commerce City on 8 June 2017. Two minutes later, his gamble was justified as Pulisic finished off a flowing move, after another Trinidad and Tobago turnover, as he ran on to an Altidore through pass to beat Jan-Michael at his near post. Maybe Lawrence also decided to save the legs of some key players, as he replaced Joevin, Hyland and Kenwyne at various stages in the second half. Acosta forced another fine save from Jan-Michael off a 77th minute free kick while another American substitute, Bobby Wood, his the upright in the 83rd minute. And, at the final whistle, the 2-0 deficit seemed a fair result. The Warriors are not down yet. Although Panama’s point in San Jose tonight raises the stakes for Trinidad and Tobago and would ensure that Costa Rica are highly motivated too next Tuesday. 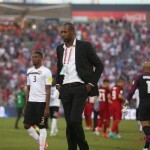 The situation is even more dire if Lawrence cannot count on his players to keep their eyes on the prize and it is hard to picture Cato storming out of the team hotel if he truly believed that Trinidad and Tobago could be sharing the field with Brazil or Argentina at the Russia World Cup in 12 months’ time. T&T defender Mekeil Williams had a personal wager on tonight’s match with his Colorado Rapids teammate, Howard, and will now have to spend the rest of the MLS season seated near to the restroom of his club’s dressing room. But the Warriors’ World Cup chances are not quite in the toilet just yet. Trinidad and Tobago (3-4-2-1): 21.Jan-Michael Williams (GK); 5.Daneil Cyrus, 4.Sheldon Bateau, 17.Mekeil Williams; 11.Carlos Edwards, 19.Kevan George, 8.Khaleem Hyland (23.Leston Paul 75), 3.Joevin Jones (12.Shahdon Winchester 67); 10.Kevin Molino, 7.Nathan Lewis; 9.Kenwyne Jones (captain) (20.Jamille Boatswain 81). Unused substitutes: 1.Marvin Phillip (GK), 22.Adrian Foncette (GK), 2.Aubrey David, 6.Radanfah Abu Bakr, 13.Hughtun Hector, 14.Andre Boucaud, 15.Curtis Gonzales, 16.Alvin Jones, 18.Hashim Arcia. 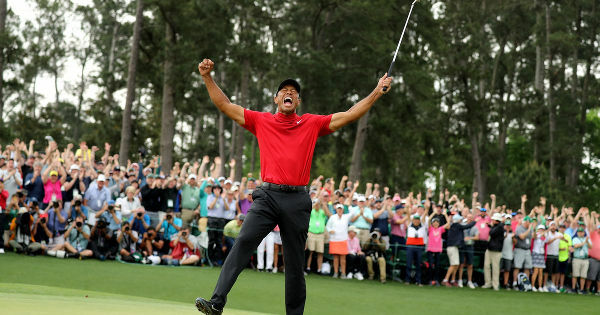 United States (4-1-3-2): 1.Tim Howard (GK); 2.DeAndre Yedlin, 20.Geoff Cameron, 6.John Brooks, 21.Jorge Villafana; 4.Michael Bradley (captain); 15.Darlington Nagbe, 10.Christian Pulisic, 23.Fabian Johnson (11.Alejandro Bedoya 73); 8.Clint Dempsey (16.Kellyn Acosta 60), 17.Jozy Altidore (9.Bobby Wood 82). Unused substitutes: 12.Brad Guzan (GK), 22.Nick Ramando (GK), 3.Omar Gonzales, 5.Tim Ream, 7.DaMarcus Beasley, 13.Dax McCarty, 14.Paul Arriola, 18.Jordan Morris, 19.Graham Zusi. 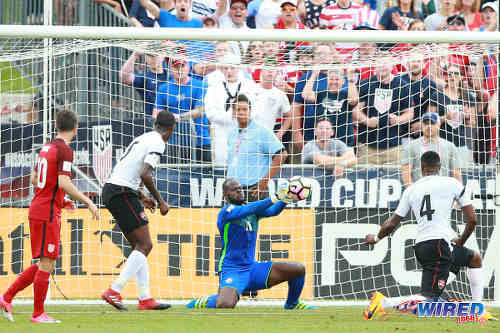 Photo: Trinidad and Tobago goalkeeper Jan-Michael Williams (second from right) makes a brave save from United States forward Jozy Altidore (centre) during Russia 2018 World Cup qualifying action at Commerce City on 8 June 2017. Mexico 3 (Alanis Oswaldo 35, Hirving Lozano 63, Raul Jiminez 66), Honduras 0 at Mexico City. The Coaches and our players really needs to be educated about the systems of play and the beautiful game. Them really good yes. Well you know how they loves to always talk a good game and the results is somtimes the opposite eh. especially against my second sweetest country. Them really good yes. Excuses… excuses… excuses! 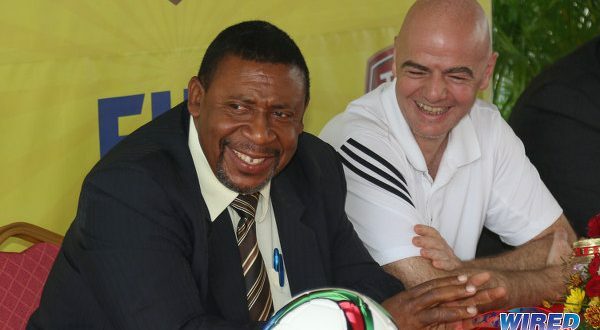 I believe Soca Warriors will begin performing better and at the expected level of World Cup champion teams when we stop looking for and making excuses… and start being true patriotic supporters by providing honest feedback however harsh and pleasing to the ear. I found that we played well for a team with so much less resourses than the Americans. I am a warrior and have no time for those people who only criticize but can buy the tickets when we winning. I say let the stadium be full whenever we play at home and let the government pay the cost, if the stadium is not full when the game is over let the people pay to get out. Our team just have a settle or draw or lost attitude we have to adapt to a never die attitude and fight till den end like bigger teams…we have tremendous talent but we lack heart and passion…my advice is to send our under 17 players to train with international clubs and not depend only on a coach, we have to let our players know what victory is so they can’t want it…. We simply don’t have the quality to match our opponents and we don’t really have the mental toughness to compensate for lack of quality. I can only realistically see us getting 1 more point for this stage. I think we will beat Honduras in that revenge match. And I think we are good enough to at least draw with USA at home. That’s four points. Whether we can pick up points on the road is another matter. Lol. Nah mean. 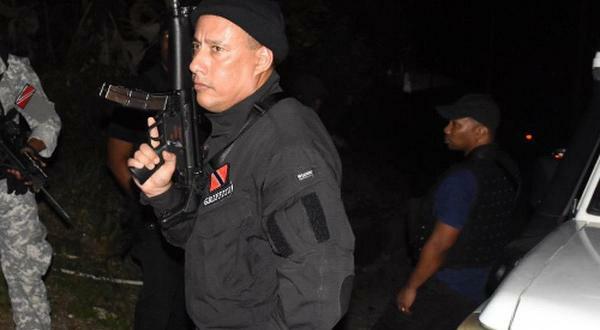 We have to fix Honduras. They humiliated us over there and I don’t think they are that much better than us. Besides we have a personal with them. Lasana Liburd you use the words think we can?or is it that you know we would? Lol. Think. I don’t have a crystal ball. And who knows which player would want a boat ride or time with his wife before that game! ? ?